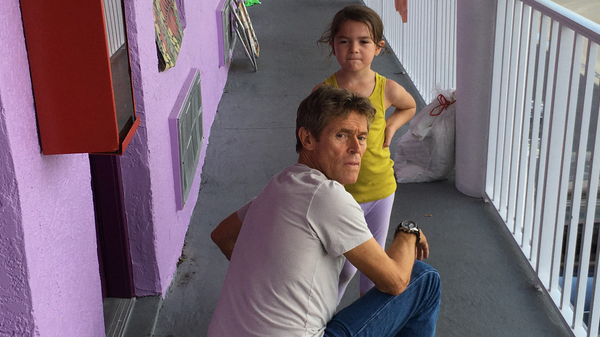 The Florida Project is Sean Baker's visionary take on the wild ups and dangerous downs of life in America's underbelly. A magnificent and madcap film that wonderfully captures the joy of childhood. The 18:10 screening on Mon 13 Nov will include Descriptive Subtitles and feature an introduction by Tiffany Holmes, Co-ordinator of Film Hub South West and West Midlands and a post-show discussion with other audience members - which will also feature simultaneous BSL (British Sign Language) interpretation. From 20:15 please join us for Deaf Conversations About Cinema, an informal discussion about the themes of the film in the Café/Bar (Deaf and hearing audience members are both most welcome). You’ll receive 10% off drinks with your cinema ticket – so grab a glass and let us know your thoughts about The Florida Project.